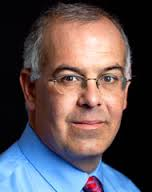 David Brooks is too smart for me. I follow his columns avidly but my poor mind is often not up to the task of appreciating his message. I have, here, in the past, complained about “blind capitalism” which I call capitalism’s demented cousin. I have cited it as an aberration, an affliction, infecting otherwise good people in specific situations. Brooks, however, describes unfettered capitalism’s effect as more fundamental and illusory. During the holiday season I bemoan its over-commercialism. When gifting overcomes all other instincts I begin to squirm. Brooks’ essay points out that consumerism is an illusory path to fulfillment brought on by unvarnished capitalism. He posits that capitalism needs a moral counterculture to exist in tandem in order that fulfillment will not only be measured by career, wealth and acquisition. I was particularly interested in his opinion that, given no underlying moral compass, consumer driven people in a capitalist system may venture into what he calls “scattershot causes and light religions” and what I call “phony journeys of self.” This phenomenon is embodied in gurus, life coaches, cults, new age novelists, significant Facebook quotation posts, Chinese tattoos and all the rest of the pseudo-psych baloney that passes for wisdom in our culture. Some people I know career from one shining path to another in a futile quest for self-awareness and potential – and often anesthetize themselves along the way with drugs and alcohol. I have no magic formula for that quest, nor do I claim to have any particular insight. I do, however, see Brooks’ point that there has to be more to our economic system than mere money and the stature it brings. Without a more humanist component, he says, we run the risk of worshipping at false altars in a struggle for meaning. All this comes to mind as I attempt to keep some real estate clients focused on a bigger picture than dollar and cents results. Don’t get me wrong, I want to get the best for those who entrust this process to me and I’m willing to be dogged in that pursuit. I do, from time to time, see some ambitions go off the rails in the blind quest for more, more, more. I will intervene when anyone in a transaction adopts the “take no prisoners” style of negotiating. I will counsel clients not to be dazzled by an offer that seems too good to be true being proffered by someone they may not be able to trust. I will gently advise a seller who wants to create a multi-step auction of its dangers. When things get ridiculous I remind parties in a deal that the small amounts of money they wrangle over will be forgotten in a few months but the benefits they derive from an agreement will be long-lasting – as will the repercussions of failing to find common ground. I fight these subtle battles everyday. I believe it’s my obligation to everyone I deal with. I like Brooks’ description of a moral counterculture as a “nest to hold capitalist ambition”. He is quite right, that ambition is voracious, overcoming morality and I have seen it consume people who I expected better from. This may be why I am so often at odds with some established REALTOR trade organizations on many issues. I see some of their goals as myopically focused on money, losing sight of fairness and equity, although those ideals are built into our REALTOR code. There will always be tension between what’s right and what’s expedient, especially when money is involved. And there will always be a distinction between true values and situational ethics. The holidays always make me a little emotional. That may explain this cavil. I have mentioned my misgivings on the subjects of wealth and ambition in many of my other posts, even quoting Pope Francis in the process (“Greed, Risk and the Pope”, published in December of 2013). There is always a push-pull in my life between my desire to succeed and my more personal, principled ambitions. This tension is an alarm bell that alerts me to fairness or to inequity. In this season which brings us closer to whom and what we love, I hope my alarms keep informing me what’s truly important. Here’s to a happy and hopeful holiday.